Finding local products and produce just got more convenient for DC-area residents. FRESHFARM Markets is opening three new markets: Crystal City, VA; Bethesda, MD; and at the U.S. Department of Health & Human Services (HHS) in Southwest DC. The Crystal City FRESHFARM Market will open on Tuesday May 18 from 3:00 PM to 7:00 PM, the Bethesda FRESHFARM Market will open on Saturday, June 19 from 9:00 AM to 1:00 PM, and the HHS FRESHFARM Market will open on Wednesday June 2 from 2:30 PM to 6:30 PM. All of the markets will be open weekly through the end of October. The new markets will showcase the best seasonal products that local farms in Maryland, Pennsylvania, Virginia, and West Virginia. Pasture-raised meats, eggs, artisan cheeses, yogurt, fresh fruits and vegetables, breads and baked goods, fresh flowers and plants will be available. Each week the markets will also host chef demonstrations using products from the market. The demos will illustrate the health benefits of eating fresh, locally grown foods and will inform shoppers on how to make simple recipes using seasonal ingredients. 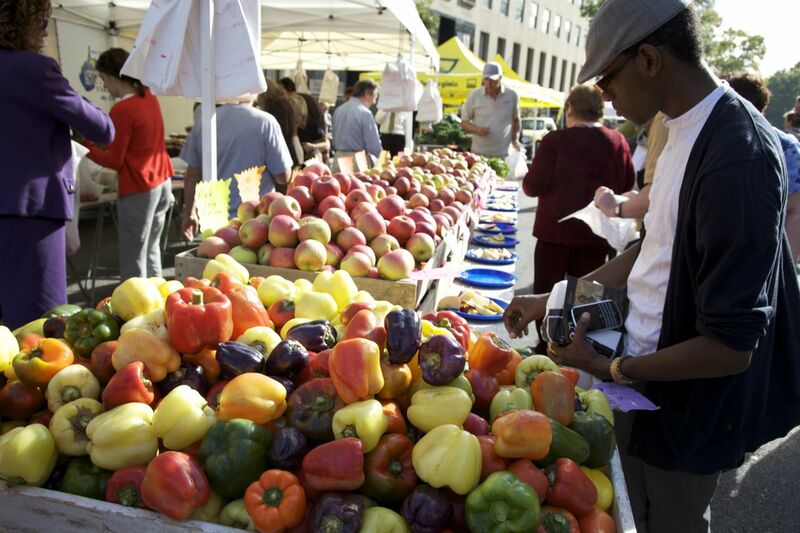 The April 3 market will be held in Gateway Plaza at the corner of Colesville and Georgia Avenue due to an event at the regular location. Location: 1500 block of 20th Street, NW between Massachusetts Avenue and Q Street and in the adjacent PNC Bank parking lot. So Why are they opening another market in Bethesda to compete with the Central Market there on Thursday and Sunday.. its a better market, better prices more complete.. and it doesn’t have two women running it making 275,000 per year and collecting grant money.. Farm Fresh Markets have gotten very expensive and its not the poor farmers who are making the money..